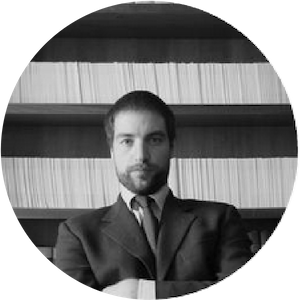 Francesco Grassetti is a senior lawyer of the aviation team and he has a significant experience in the whole range of regulatory and legal advice. Francesco is enrolled at the BAR association of Rome and before joining Studio Pierallini in 2011 he worked for reputable commercial law firms in the US and Italy. He assists clients in connection with purchase, sale, leasing and financing transactions of commercial aircraft and helicopters, including single aircraft and multi-aircraft portfolios. He also focuses his practice on the business and private jet market, providing a full range of assistance to the industry (mainly to banks, lessors, owners, operators and manufacturers), such as structuring and finalizing cross-border deals, perfection of securities over aircraft objects, filings with civil aviation authorities and the international registry under the Cape Town Convention, aircraft operation and management, enforcement issues and local taxes. In addition, Francesco provides airlines, business operators and other players of the aviation sector with a variety of support services, dealing on a regular basis with the negotiation and finalization of sector contracts (transport, charter, dry-lease and wet-lease, management, maintenance, ground handling, supply, licensing, consulting) and regulatory advice in respect of the Italian jurisdiction and the European Union (authorizations and licenses, traffic rights, slots, competition, data privacy, consumer protection). Furthermore Mr. Grassetti advises clients in all aspects of corporate and commercial law, including relations with customers, suppliers and business partners, legal compliance, corporate governance, intellectual property protection, preparation of all types of commercial agreements, acquisition and management of assets, production and distribution issues. He is a regular attendee at aviation conferences worldwide and contributes to international publications on aviation law.